Set in Gargas, Holiday Home Les Iris provides accommodation with a private pool and private parking. This property offers access to a terrace. The holiday home is fitted with a TV and 3 bedrooms. The accommodation is fitted with a kitchen with a dishwasher and an oven. Apt is 6 km from the holiday home. 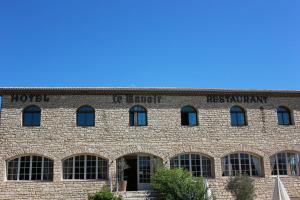 The nearest airport is Avignon-Provence Airport, 42 km from the property. When would you like to stay at Holiday Home Les Iris ? This holiday home has a microwave, oven and dining area. Please note that the full amount of the reservation is due before arrival. Interhome will send a confirmation with detailed payment information. After full payment is taken, the property's details, including the address and where to collect keys, will be emailed to you. A security deposit of EUR 600 is required upon arrival for incidentals. This deposit is fully refundable upon check-out and subject to a damage inspection of the accommodation. Please inform Holiday Home Les Iris in advance of your expected arrival time. You can use the Special Requests box when booking, or contact the property directly with the contact details provided in your confirmation. This property will not accommodate hen, stag or similar parties. 1 Baby cot/s available for free Please contact the Keyholder 1 day before arrival to communicate your expected arrival time Please note that extra service charges are applicable. Kindly reach out to Interhome directly for more details. Each day we'll check prices and send you an email for your selected dates at Holiday Home Les Iris. If you don't have specific dates but would like to check prices for say next weekend or say next month we can check the price too. Click to write a review and share your experience of Holiday Home Les Iris with other travellers.